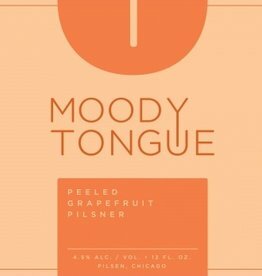 Jared Rouben leads the creative development of Moody Tongue’s portfolio of beers and is a graduate of the Washington University in St. Louis, the Culinary Institute of America in New York and the Siebel Diploma Course in Chicago. Currently, Rouben holds positions as faculty at the Siebel Institute and examiner for the Master Cicerone program. Rouben earned a spot as a cook on the kitchen brigade of the Michelin Star Martini House in Napa Valley and subsequently as expediter on Thomas Keller’s team at the three Michelin Star Per Se in New York City. Rouben’s journey began when he founded the Brew Club at the Culinary Institute of America, but was initially inspired by his time spent in renowned kitchens alongside a number of the country’s top culinary minds. 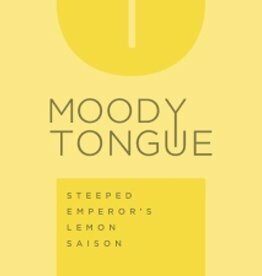 Rouben quickly realized that the lessons he learned in the kitchen could easily translate to the brewing process, and he began applying those principles to his creations at home. As he began to explore brewing in depth, he carefully thought through the addition of ingredients, tasted beers throughout the brewing process, challenged his palate to combine flavors and, most importantly, never compromised on quality. After graduating from the Siebel Institute in Chicago, Rouben formally began his brewing career at Rock Bottom and then as Brewmaster at the Goose Island Brewpubs. During this transition, he found inspiration from innovative chefs and local ingredients, drawing both into the brewery as he created beers. 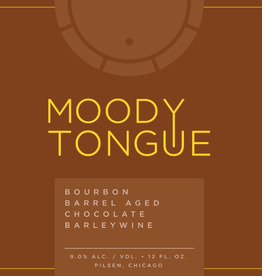 With an initial focus on experimental brewing, Rouben took this opportunity to develop both Goose Island’s Farmers’ Market Series and Chef Collaboration Series, ultimately building the foundation for the “culinary brewing” philosophy we showcase at Moody Tongue. Jared has spent the past several years brewing and pairing beers and collaborating with some of the most celebrated culinary minds in the country. His passion for both beer and food is infectious.